My kids love to help make this fun treat! Substitute whatever nuts and candy you like to make it really festive and fun. Tie it up in little plastic bags with cute ribbon and give it to your trick or treaters. Line 3 sheet pans with wax paper. Pop popcorn. Melt almond bark in microwave until smooth. 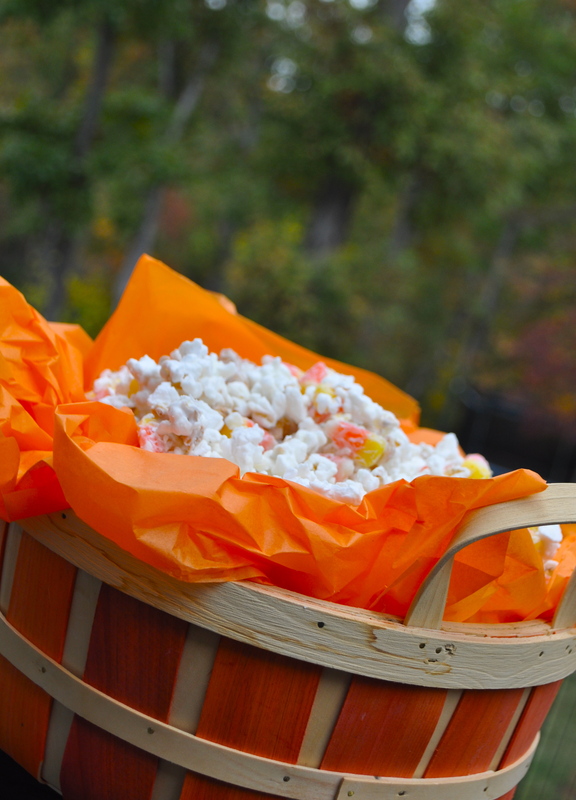 Add candy corn, peanuts, Reeses Pieces to the popcorn. 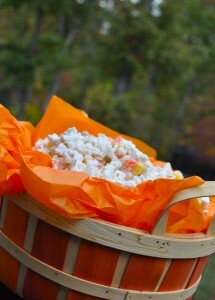 Pour chocolate over the popcorn, candy, and peanuts and stir until everything is coated. You’ll probably have to do 2-3 batches, depending on the size of your bowl. Spread popcorn mixture onto the sheet pans and let cool. Copyright © 2015 Our Everyday Dinners - This is an easy recipe for how to make Monster Munch.